is a fully qualified teacher with a subject specialism in music and a masters in music education. Workshops can be devised to be cross curricular and to suit whatever project the school might be studying at that time. 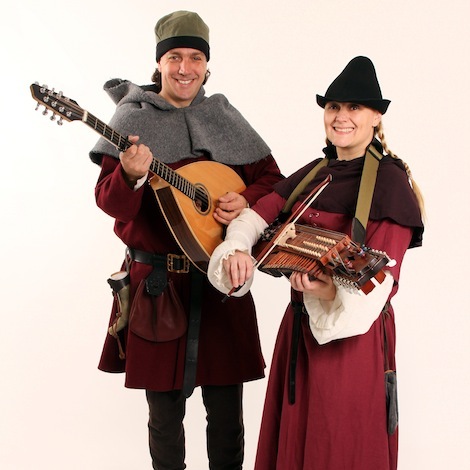 An exploration into the sounds of the medieval period, includes dancing. Samuel Pepys was an avid musician, learn a little of the instruments he played. If your school has an orchestra or band, then Sounds of Time can spend the afternoon working with them. Workshops can be put together in one time period, or be a journey through time. Get in touch to discuss a bespoke workshop for your school.